Were you pulled over and arrested for OUI in Dorchester? You should know that these types of arrests are very common, but are winnable in court. For most, an OUI arrest is a person’s first encounter with the law; many people have never had to go to court before, and subsequently have never had to hire a lawyer. While an OUI charge is a misdemeanor, it is important you consider hiring an attorney who has experience fighting these cases in court. A skilled DelSignore Law Attorney knows how to effectively cross examine the arresting police officers, and how to minimize any repercussions you might face while your case is pending (license loss, etc.). How common are OUI’s in Dorchester? Being pulled over and arrested for OUI in Dorchester is not uncommon. Most OUI arrests in this area are made by the Massachusetts State Police on Route 93. 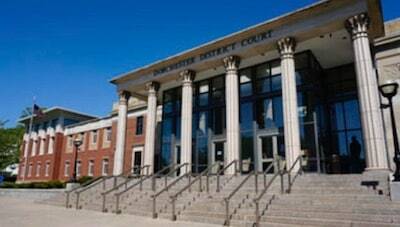 You can expect all of your court dates to be heard in Dorchester at the Dorchester District Court. Pictured below, the court is located at 510 Washington St. Court begins at 8:30 AM, so be sure to arrive by 8:15 to give yourself some extra time to check in. Will hiring a DelSignore Law attorney increase my chances of winning the case? While every case is different and should be treated as such, hiring a skilled lawyer most definitely increases your chances of being found not guilty. At DelSignore law, we understand Massachusetts law and we are familiar with the Dorchester District Court as well as courts across Massachusetts. What are some of the defenses available to my case? Performance on the field sobriety tests: Often, these tests are unreliable and unfair given the conditions. After being pulled over, many people are nervous and or scared, which has a major impact on their performance on the field sobriety tests. Conduct at the police station during the booking process: Most police departments have cameras in their booking room. This video can be used to show your balance was good, your speech was clear, and that you were polite and cooperative with the officers. Health issues: The breathalyzer test as well as the field sobriety tests assume a person is in good physical condition. Officers do not take into account prior injuries a person might have had, or whether a person has asthma (for example). A DelSignore Law Attorney can obtain copies of your medical records, and we will review them to see if they could help your case. There are a number of defenses that may be available to you. It is important you contact DelSignore Law so we can review your case and go over it with you. At DelSignore Law, we are available 7 days a week to take your call. We will happily review the case with you over the phone, or we can set up a time to meet at one of our office locations across Massachusetts. Night and weekend appointments are available, and we will make every effort possible to try and work around your schedule. Contact us today. By visiting our website, you can learn more about the defenses available to your case and the court process following your arrest.